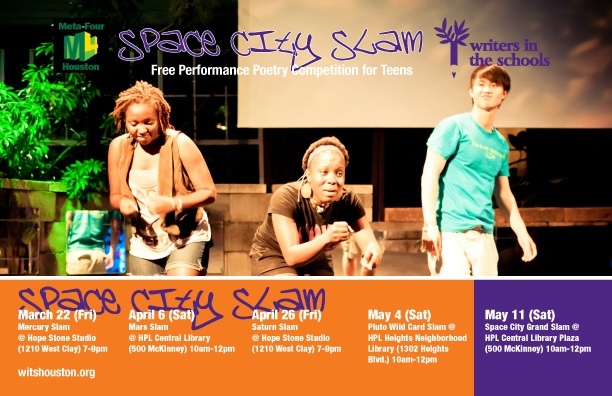 WITS » Calling Houston’s Youth Poets: Space City Slam! Calling Houston’s Youth Poets: Space City Slam! • All youth ages 13-19 are invited to compete in the Space City Slam. • The winners from the first four slams will compete in the Grand Slam for the chance to represent Houston in the Brave New Voices International Festival in Chicago (August 2013). • No registration is required, and walk-ins are welcome. • Call 713-523-3877 or visit witshouston.org for more information.